In the last few months I have seen and heard about a new option to brand the Suite Bar. This has been a challenge ever since SharePoint 2013 came about both for On Premises and Online. One of the most common things that I have heard from customers is how to change the colors, logo and text in the Suite bar. 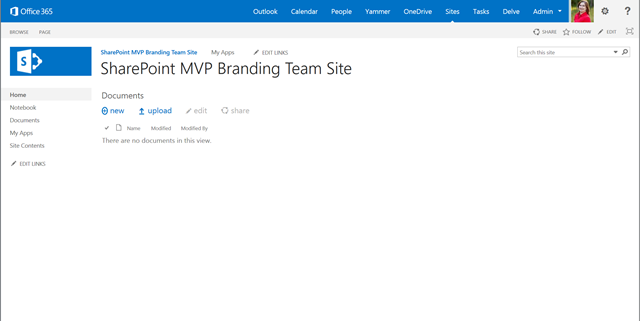 In SharePoint On Premises you can use CSS and Powershell to change the colors and text. 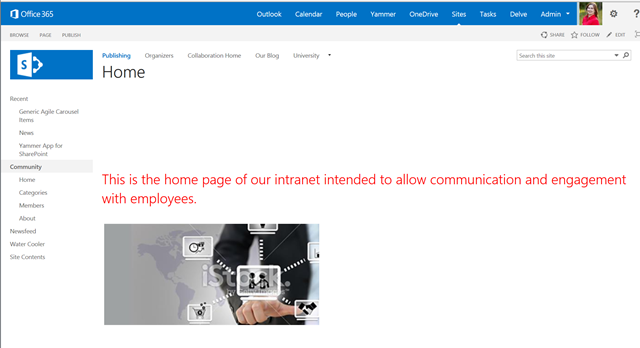 And while that would apply to SharePoint Online, it did not apply across the entire Office 365 suite. 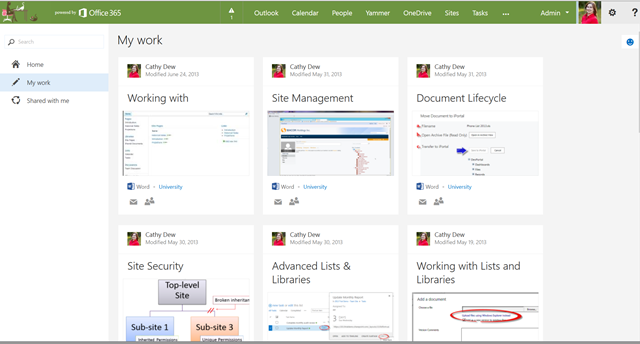 So switching between the various platforms and products within Office 365 would change the Suite Bar across each product. When the announcement of Office 365 Global Suite Bar themes came across, I was initially excited about giving this a try and stopping all of my other methods for customizing the Suite Bar. It sounds really easy to work with. Simply set the “Theme” centrally as a Global Administrator from the Office 365 Admin Portal. 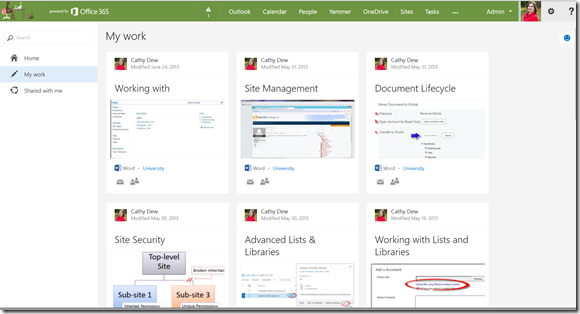 In the Office 365 Admin Portal locate your Tenant Name in the top right corner. Once you select this option you will get a page to fill out the properties. 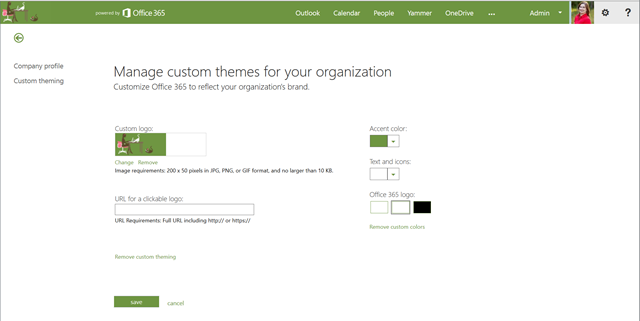 From here you can choose a logo, pick your URL for where you would want the Logo to link to; accent colors, text and link colors and other Office 365 logo colors. As you start to change these you will see colors changing in the Suite bar. Let’s go through each tab in the Suite Bar and see how it changes. But what about my SharePoint Sites? Oh and don’t get too comfortable with this, as it is all changing as of today in the Office Blogs announcement of the app launcher. Oh well, I guess we will continue to fight the good fight since this feature has only been out in First Release tenants for a month. Stay posted for info on the new App Launcher once I finally get my hands on it.